We don’t hear that kind of thing often. Criticizing politicians – of every stripe, at every turn – is one of our national sports. It is rare indeed to say something positive. But the business community – indeed, the whole country, because this speaks directly to our collective prosperity – should offer Finance Minister Bill Morneau a big thank you. There is one major qualifier – read on – but this has the makings of a significant opportunity for our economy. There has been much chatter about tax measures in the Fall Economic Statement the Minister just released. However, much more important for Canada’s competitiveness and long-term prosperity is the commitment in the Statement to a much-needed initiative to modernize the country’s regulatory system. This is in direct response to the federal Economic Strategy Tables, established last year, that unanimously recommended that modernizing our regulatory system would materially improve Canada’s ability to attract investment and growth-oriented businesses. The government listened. The Economic Statement includes the intention “to enact, as quickly as possible, regulatory and policy changes that will result in a simpler, clearer and more modern regulatory system.” The goal is to protect Canadians’ health and safety and the environment, which is, after all, a fundamental purpose of regulation – but at the same time to “materially improve Canada’s ability to attract investment and growth-oriented businesses.” This is music to the ears of those who drive the businesses and the investment that are critical to Canadian jobs and prosperity. But there is one qualifier. One very big and critical qualifier. It’s called Bill C-69, which has passed in the House of Commons and is now with the Senate. Bill C-69, if passed, would replace the federal Canadian Environmental Assessment Act of 2012 (CEAA 2012) with a new, much broader Impact Assessment Act (IAAct); replace the federal Environmental Assessment Agency with a new Impact Assessment Agency (IAA), with much broader scope for review of major projects; would replace the National Energy Board with an entirely new, untested, watered down, less independent “Canadian Energy Regulator;” and amend the Navigation Protection Act. It is a massive, far-reaching omnibus piece of regulatory legislation. But in its 392 pages, the word “competitiveness” appears only twice. Neither the word “economy” nor the phrase “economic growth” appear at all. Bill C-69 was passed in the House of Commons, but with review by only the Environment and Sustainable Development Committee. It was not reviewed by either the Natural Resources Committee or the Finance Committee, despite its potential affect on our ability to harness our natural resources and potential negative affect on our economy. Yet this bill, if passed, would create enormous uncertainty, more red tape and increased court challenges. And not only for the energy sector: The IAAct, which includes a variety of untested requirements, will apply to virtually every major infrastructure project in Canada for years to come. 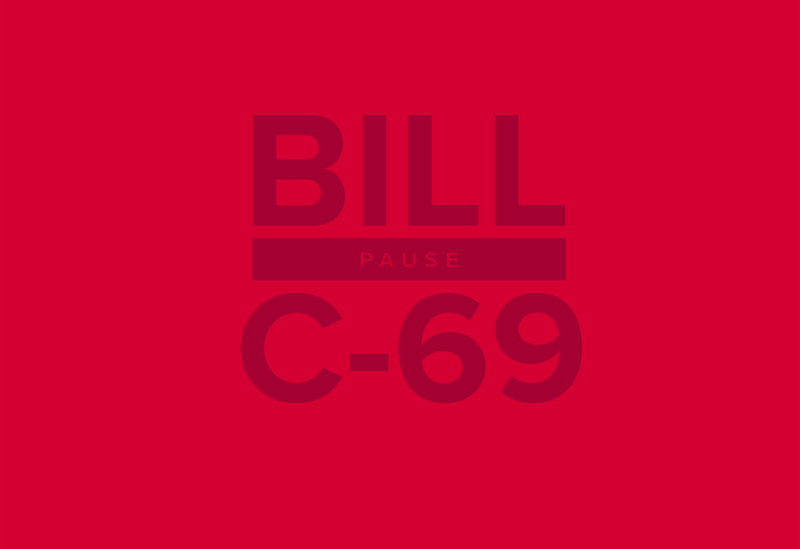 We applaud the intentions of Bill C-69. But it is a massive undertaking, drafted before the excellent work of the federally appointed Economic Strategy Tables, so without any of that input. It was drafted before this new, excellent regulatory reform initiative. Yet, it will fundamentally affect a major part of Canada’s regulatory environment, with potentially dire economic consequences in terms of investment certainty and competitiveness for the entire country. It is the antithesis of what this regulatory reform effort hopes to achieve. Bill C-69 should be put on hold, be reconsidered and redrafted, after this government’s own regulatory reform effort. Otherwise Mr. Morneau’s opportunity will be lost. The government has just acknowledged what the business community has been saying for a long time – our regulatory system must be modernized, rendered more efficient, and include as key goals economic growth and competitiveness. If they are serious about “taking immediate action in response to business recommendations,” then they should heed the call from Canadian business to pause Bill C-69, take advantage of this excellent regulatory reform initiative, and get the regulation of both energy projects and the impact assessments of major infrastructure right. Martha Hall Findlay is the president and CEO of the Canada West Foundation.